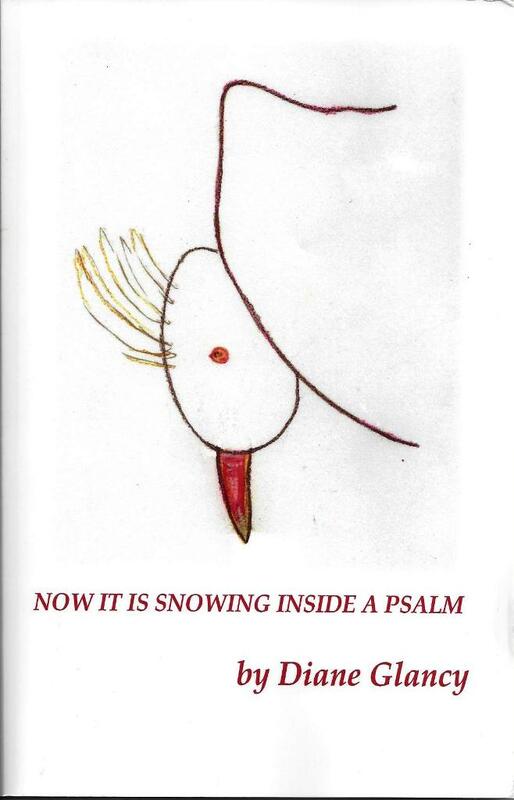 Glancy, Diane *Now It Is Snowing Inside a Psalm, prose $10, 78 pp. Award-winning writer’s reflections on the meanings of the Psalms. Available in Kindle format. Diane Glancy gives an honest reading of the Psalms, with acknowledgement of doubts as well as triumphs. This skilled essayist’s personal response to the ancient Hebrew text gives new perspectives on language and its role as a tool of faith. She writes: “In the past, when I’ve been hollowed out by the rigors of living, I have returned to the Psalms. It was into the low-lands that the rivers of scripture ran, flooding the hollow places with the water of the world.” The collection includes a series of discussion questions for further reflection. Diane Glancy is professor emerita at Macalester College in St. Paul, Minnesota. She was the 2008-09 Visiting Richard Thomas Professor of Creative Writing at Kenyon College in Gambier, Ohio. She has published many books in the novel, short story, poetry, essay and drama forms, including The Reason for Crows, a novel of Kateri Tekakwitha, a 17th century Mohawk converted to Christianity, Pushing the Bear, a novel of the 1838-39 Cherokee Trail of Tears, a new collection of essays, The Dream of a Broken Field, and a new collection of poetry, Stories of the Driven World. In 2010, she made her first independent film, The Dome of Heaven. She has been the recipient of many awards including two National Endowment of the Arts Fellowships, a Minnesota Book Award, an Oklahoma Book Award, and an American Book Award. She was born in Kansas City, Missouri in 1941. She currently lives in Kansas. Her website is www.dianeglancy.com.